June 1, 2012 Jennifer S. Newton active clinical study, active trial, AFIRM, Allograft, amount of bone, B., biomechanical study, Care center, Christina Kaufman, Christine M. Kleinert institute, clinical trial, CMKI, compare brain plasticity, cutting-edge treatment, distal radial ulnar joint, DoD, DRUJ, Dupytren, Dupytren 's syndrome, executive director, executive director of CMKI, extremity research, fellow, fellowship, fellowship 's faculty, five year grant, fully-trained plastic, graft, grateful recipient, grateful recipient of a five year grant, hand surgery fellowship program, hand transplant, hand transplant patient, hand transplant program, Hoying, immunosuppression, important joint, innovation institute, institute 's primary educational role, Jewish hospital, K., Kaufman, Kleinert Kutz, Kleinert Kutz hand, Kleinert-Kutz endowment, Kosair charity, Kutz, large hand surgery fellowship program, Louisville, Louisville cardiovascular innovation institute, Louisville Vascularized, Louisville Vascularized composite Allograft, M., M. Kleinert, M. Kleinert institute, micro surgery, mission of education, multiple trial, Oregon researcher, PhD, Prednisone, received department, received department of defense, rejection, Stuart K., surgeon, surgery, SVF, tolerance, tolerance induce property, tolerance induction, transplant, U, ulnar, ulnar joint, university of Oregon researcher, upper extremity research, vascular fraction, VCA, VCA program, viking 's disease, work of Stuart K.
Founded in 1986, the Christine M. Kleinert Institute for Hand and Micro Surgery (CMKI) has a dual mission: education and research. A 501(c)(3) independent organization funded by the Kleinert-Kutz Endowment for Education and Research in Hand and Micro Surgery, the Institute’s primary educational role is supporting the largest hand surgery fellowship program in the US and the only one to accept fellows from foreign countries. Having trained over 1,300 fellows from 58 countries, the fellowship’s faculty are primarily surgeons from Kleinert Kutz Hand Care Center, and the fellows are fully-trained plastic, orthopedic, and general surgeons. The fellowship is ACGME accredited and recently renewed its accreditation for five years with zero citations. This year there are 20 fellows in training from 10 different countries, including the United States, Italy, Spain, Columbia, China, Israel, Chile, Thailand, the Dominican Republic, and Egypt. 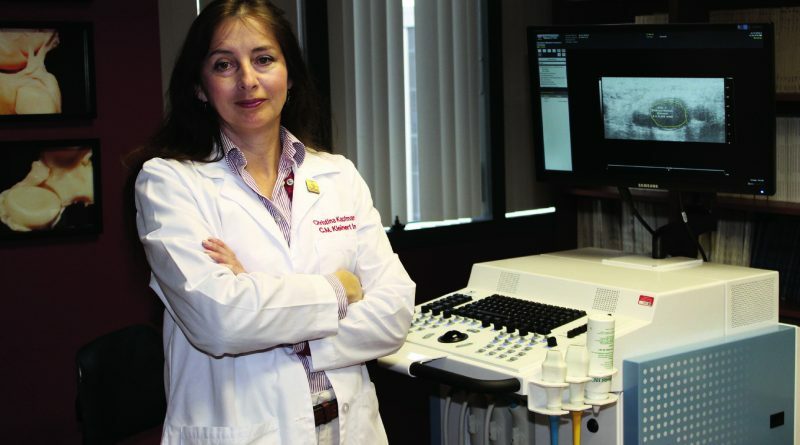 Christina Kaufman, PhD, executive director of CMKI, estimates she spends 50 percent of her time on the organization’s most well-known clinical trial – the Louisville Vascularized Composite Allograft (VCA) program, otherwise known as the hand transplant program. In addition, CMKI currently has 28 other active clinical studies in progress. Active trials include a biomechanical study on the amount of bone that can be removed in a broken arm before interfering with function and a trial focusing on patients with Dupytren’s syndrome or “Viking’s Disease.” Other studies include multiple trials on the distal radial ulnar joint (DRUJ), a very important joint where injuries can be severely debilitating. CMKI recently received Department of Defense (DoD) funding for a collaborative study with a University of Oregon researcher to measure and compare brain plasticity in amputees, replant patients, and hand transplant patients utilizing a functional MRI. Collaborating with the Louisville Cardiovascular Innovation Institute (CII), CMKI has proposed a number of grants utilizing the work of Stuart K. Williams, PhD, and James B. Hoying, PhD, with stromal vascular fraction (SVF) of adipose tissue, which contains stem cells and has anti-inflammatory, pro-healing, and potentially tolerance inducing properties. A grant submitted through the Armed Forces Institute for Regenerative Medicine (AFIRM) seeks to apply this work in hand transplants. CMKI is also the grateful recipient of a five-year grant from Kosair Charities for the establishment of a pediatric outreach clinic as well as basic science studies on nerve function in congenital defects and tolerance induction in pediatric patients using SVF cells. Education and research integrate seamlessly in the VCA program. “Every [hand transplant] program in the country has come to Louisville to learn how we did it,” says Kaufman, as well as many programs from other countries. “I think our program is special in that we have always shared our experience, the good parts and the bad parts, because both happen,” she says. Much like the multiple types of tissue involved in transplanting a hand, the VCA team comprises a vast group of professionals, including surgeons and researchers from Jewish Hospital (part of KentuckyOne Health), CMKI, Kleinert Kutz, and U of L. CMKI’s role includes administering the clinical trial, employing the research nurse, listing patients with KODA, completing regulatory paperwork, providing hand therapy for the first three months post-transplant (the revenue from which helps pay for the fellowship program), and setting up a mirror team in the patient’s hometown. Kaufman refers to the surgeons of Kleinert Kutz as “the backbone” of the project, 15 to 20 of who participate in each case, and credits Jewish Hospital and U of L with providing infrastructure, transplant surgeons, and laboratory resources. To date, the Louisville VCA team has transplanted hands on eight patients, most recently on Ronald Thurman in February 2012. In March 2012, the nation’s first hand transplant patient, Matthew Scott, returned to Louisville for his annual check-up. According to Joseph Kutz, MD, FACS, founding partner of the Kleinert Kutz Hand Care Center and president of the CMKI Board, “Matt is now 13 years out, and he’s got excellent function. He’s showing a regeneration of intrinsic muscles … which is giving him more dexterity in working better with his hand.” Scott’s strength, movements, and range of motion continue to improve. While they have had many successes, Kaufman cautions that chronic rejection still exists. Case in point is the program’s fourth patient, who experienced rejection in the form of vessel stenosis that was not detected in time because the screening tool they were using was not sensitive enough, resulting in removal of the hand. 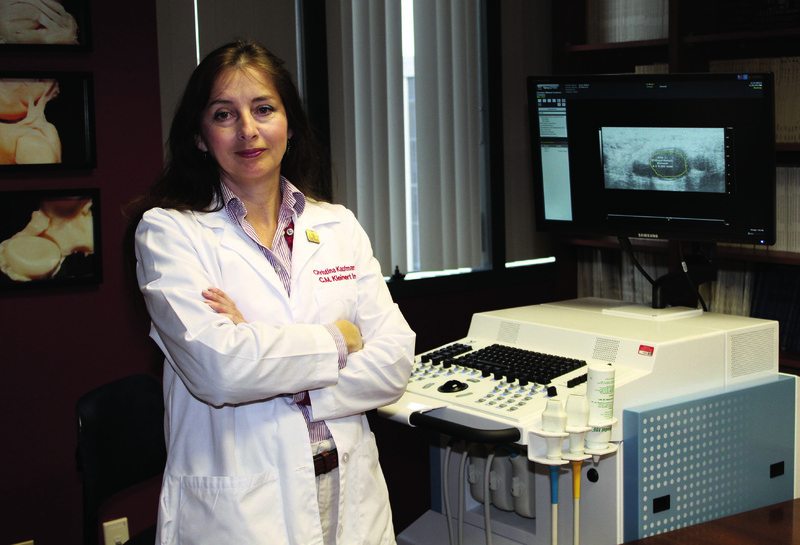 Through their grant with the DoD, the team was able to find a technology that met their challenge – ultrasound biomicroscopy using the VEVO 2100. “This has a resolution of 30 microns, which is 1,000 to 3,000 times better than our current technology, and importantly, it’s non-invasive,” says Kaufman. The technology allows clinicians to look at vessels, including the radial and ulnar arteries as well as the digital arteries, and measure them directly. With it, they were able to detect and treat a thickening of the arterial walls in the sixth patient. Fellows are also studying other potential uses of the technology. Since the VCA program transplanted its first patient in 1999, one of the most controversial issues has been immunosuppression. Multiple studies going on across the country are exploring efforts to induce tolerance in organ transplant recipients and therefore minimize immunosuppression. While Kaufman and Kutz agree their goal is always to use the least amount of immunosuppression necessary to maintain the graft, the SVF stem cell trial will be their first modification to address tolerance. “We are interested in the use of tolerance induction, but at this point it’s still an experimental study … because this is not a life-saving procedure, the bar of what you can accept for risk is a lot higher,” says Kaufman. As the gatekeepers of the VCA program, the Institute walks prospective patients through an extensive screening process, which includes insurance coverage of immunosuppressants, a criterion for the Louisville team. Hand transplant patients begin with a triple-drug regimen of Prednisone, Mycophenolate Mofetil (MMF) or Rapamycin, and Prograf. In some cases, Prednisone can be withdrawn as long as there are no problems, which helps to minimize harmful side effects. Kutz looks forward to the day when hand transplants are no longer experimental treatments and are covered by insurance. “The only difference between doing this and a replant of your own hand is the fact that you have to use the drugs to prevent rejection,” says Kutz. He counters ethical arguments with the degree to which hand transplants improve the quality of patients’ lives. “This means very much to the patients. This makes them feel like they’re whole again, makes them feel that they’re really living again,” he says.